So, Rupert Murdoch has apologised for the publication of an offensive cartoon in the Sunday Times. The topic is Israel’s relations with its neighbours and the wall it is building in order to keep them out. “Good fences make good neighbours” as the poet Robert Frost wrote. The Today programme on Radio 4 this morning pitted cartoonist Steve Bell of the Guardian against Stephen Pollard of the Jewish Chronicle debating – of sorts – the issue. Quite heated in places. Listen here. The question is, are we talking about Jews – and hence being anti-semitic – or are we talking about Israel and the Israeli government? At the very least, when a country defines itself coterminous with a race, the depiction of a key player in the story – in this case Netanyahu – can be seen as an attack on the race more generally. On Holocaust Memorial Day, particularly so. 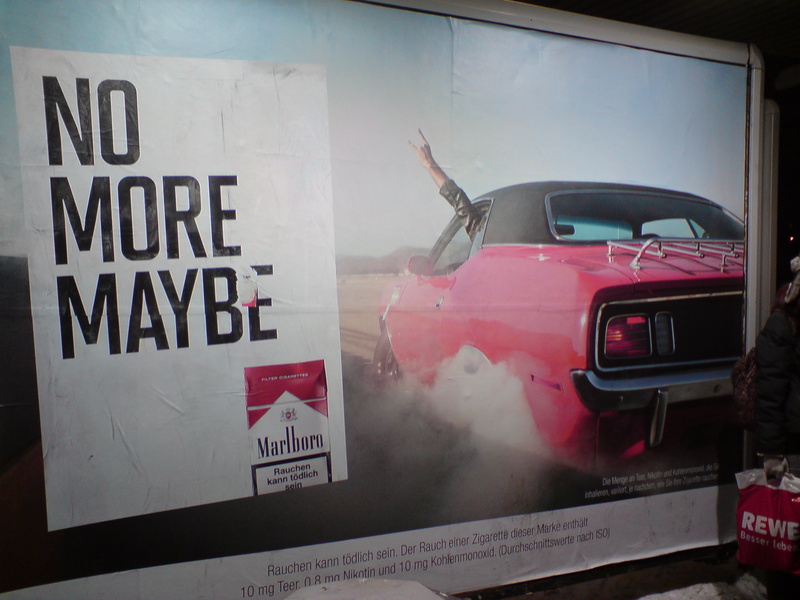 Marlboro’s Maybe campaign has re-introduced youth (possibly heading toward the boundaries of legality again with the advertising authorities in Germany). 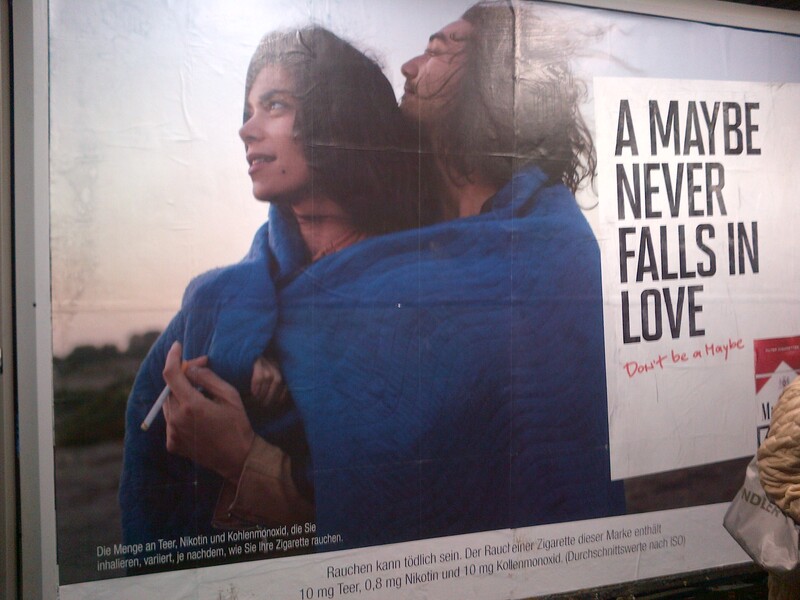 A ‘Maybe’ may not fall in love, it seems. The couple featured in the advertisement (left), seem to be spending romantic time out of doors. Maybe they have emerged after some physicality, giving the unshaven man some time to light up and demonstrate to his beloved that he does not intend to live long. Lovely sunrise, though. Meanwhile, JSP seems to have de-emphasised the ‘glide’ technology that featured in their advertising towards the end of last year. They are just going for the no additives approach. 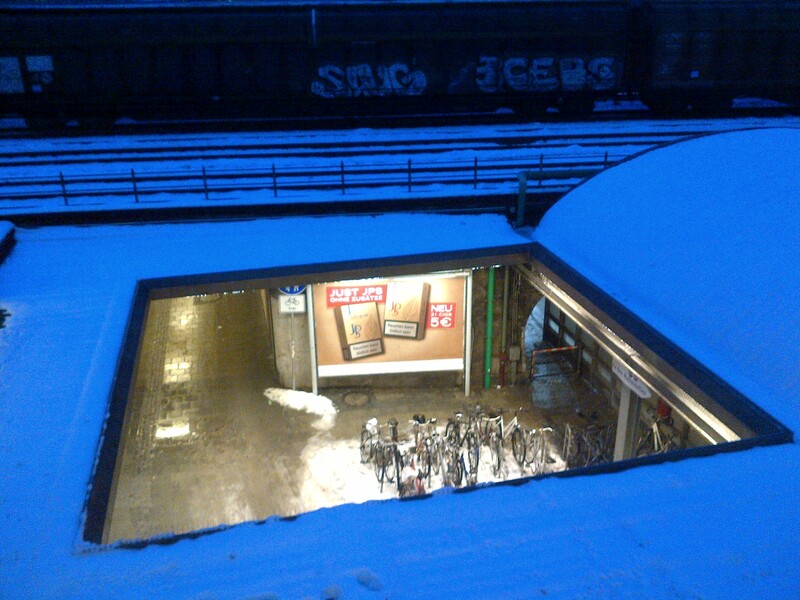 The poster is a bit dull; I spotted this one through a snow covered roof at ‘sunrise’. Not a romantic location at all. Finally, Pall Mall continues its advertising spend. 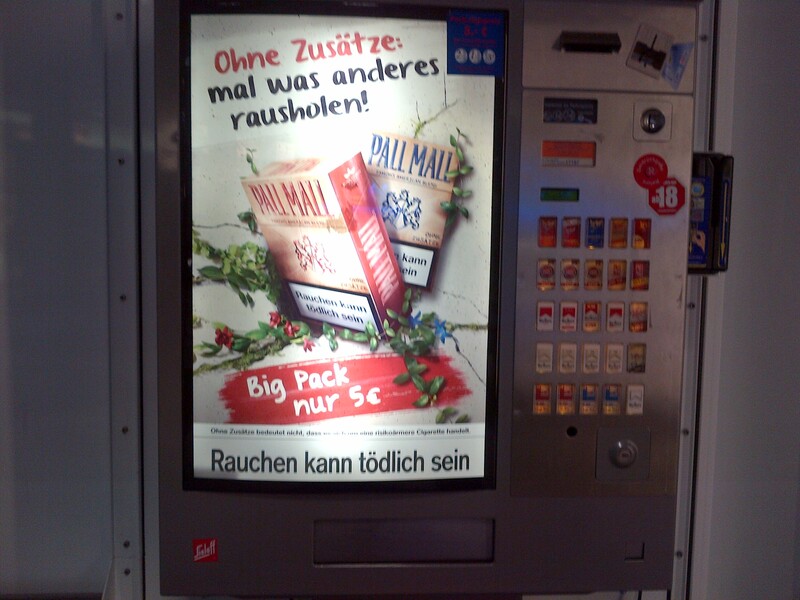 I have not seen any big posters recently, but the ubiquitous cigarette machines are clearly suitable locations. This one captured today at Munich Airport (left). The spring flowers make a nice touch. Long anticipated and it did not disappoint. It takes a lot to be criticised by former Prime Minister, Tony Blair, but Cameron has elicited a damning response. “I think it’s a huge worry in circumstances where you put on the agenda the prospect of Britain leaving. Why would we do that? We don’t yet know what we are proposing, or what we can get negotiated. We don’t yet know what the rest of Europe is going to propose. This referendum will happen in four or five years time, if the Conservatives were re-elected. Why not wait and see what we actually get out of this, play our part in shaping the new Europe, but why be in the situation where now you are putting on the table the prospect, four or five years time, of Britain leaving so that we can no longer answer the question, when we are negotiating, is Britain going to stay a member of the European Union or not? We can’t answer that question any more.” (drawn from Andrew Sparrow’s Guardian blog). Let us unpick that. We – and anyone who trades with us or invests in the country – no longer know if the UK will stay in the European Union. Should the Conservatives win the next election, that will represent at least 5 years or so of uncertainty. It will precipitate the end of the Union between England and Scotland, putting back on track the campaign north of the border to break free, even though an independent Scotland would need to reapply for membership to the EU (until now a disincentive to break free). Why is David Cameron such a poor strategist? Even though many in his party – and many outside – loathe the EU, the EU remains the largest trading bloc for the UK. That is strategically significant.It is also the case, that a lot of what these people dislike are good things like the working time directive; 48 hours per day is long enough for anyone to work per week. There is a lot that is wrong, but Cameron has now dug in even deeper and diminished the UK’s influence over what is wrong. 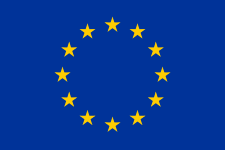 Not only will the UK not support efforts in Europe to support the Euro (see post: https://weiterzugehen.net/2011/12/10/26-to-1/), but now we are effectively leaving. On that basis, why negotiate with the UK? Moreover, as Blair said in his response, threaten to leave and someone will say “go on then”. I had to laugh (though it was a painful speech to listen to) when he said that transport metaphors should be dispensed with – cast into some waste bin, only to serve up a platter full of them himself as he ‘progressed’. Astonishing. The Maybe campaign goes on. New for 2013 is the poster on the left. In Marlboro Country, no doubt, the occupants of a car on the freeway gesture. I had to look up what the gesture actually means. It is called the Corna and seemingly has modern satanic origins; though in this poster it is more likely to mean “rock on”. If seen at a football match it may be an unpleasant gesture to the referee. Suffice to say, the occupants of this vehicle are not ‘maybe’ers’. They know what they are about. Maybe. The newly unveiled portrait of Kate Windor has proved to be quite a talking point. As usual with these matters. The subjects themselves are always delighted with the result. The Royal loyalists are always disappointed. The artists are castigated for being unfair; they present a distortion of reality, the true person. Whilst this new portrait is as near as a photograph one is likely to get, the comments remain that it makes her look old; or as the Sun newspaper put it, looking like Ian Botham, former England cricketer (cue opportunity to post a picture of Ian Botham onto the newspaper’s website). It is also the fault, it seems, of the National Portrait Gallery for promoting the use of photographs by artists. Also, bad choice of artist. In this case the artist – Paul Emsley – is very good at doing animals. Mrs Windsor and her husband are, true to form, said to be absolutely delighted by it. What is great about art, and particularly portraiture, is that we get an opportunity to see the sitter through the eyes of another. I’m no artist, but I have been a life model and seen many depictions of my own body; I was always fascinated at how different emphases, light, angle, colour, perspective, etc., impacted on the outcome. It is not for me to say whether the likeness was true. In this case, if the artist thinks Kate Windsor has bags under he eyes and and Ian Botham’s nose then she has. I was not there when she sat for the artist, nor have I seen the photographs that he used. Artists are artists because they see what most of us do not see – or in Kate Windsor’s case – be allowed to see stripped of normal media management. If I had the opportunity to talk to Paul Emsley I would be inclined to say that I do not really like his portrait because I cannot see the point in hyper-reality. But even then, Emsley has subverted the perfection of the Kate Windsor fascade. That seems to be a problem for the ‘critics’. But that is the point of art. I woke up yesterday morning to the Today programme on Radio 4 as usual to the ‘news’ that David Bowie would be releasing a new single at 0715 and that I would be one of the first to hear it if I stayed tuned. 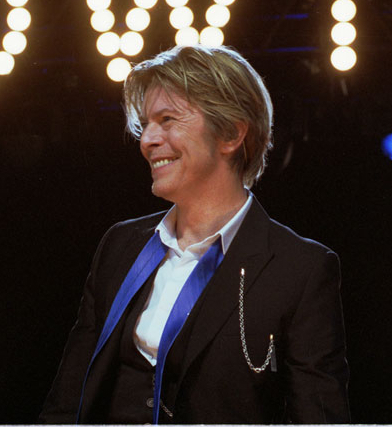 David Bowie is one of the formative characters in my life. I was listening to him and buying both singles and albums from the age of 12. Though I have never seen him play live (coming from Hull, that is not surprising). The release of a new single (and video viewable on youtube) is of interest, especially as I am informed that the song has references to Berlin and hence his most creative period in the 1970s. It worked a dream – the newspapers are full of it; Radio 4 had another go this morning with a couple of eminent fans eulogising Bowie much to the incredulity of the presenter, Sarah Montague (the story became more her incredulity than their eulogising). Again, whilst it is great to have some new music, it is not an event. It is not as though he made an appearance on the programme. It does not warrant the time given to it on a flagship news programme. It is again lazy journalism; manipulation marketing. Radio 4 did not even play the song.